Grow your business with better marketing. Starting with these free templates! 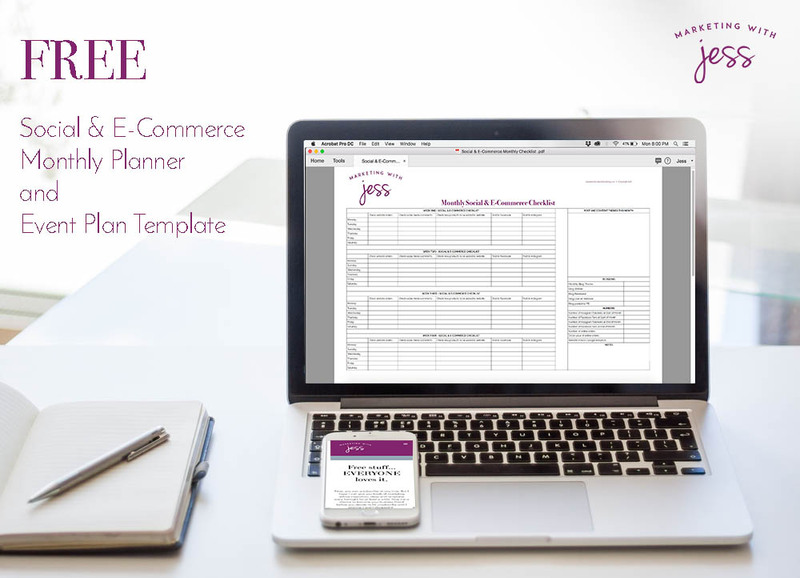 Subscribe below and get a FREE Social & E-Commerce Monthly Planner PLUS a FREE Event Plan Template delivered straight to your inbox, right now! Then stay tuned for my fortnightly newsletter, sent every second Tuesday night! Each newsletter has an awesome free marketing template AND some useful, high impact marketing advice that you can basically implement in your business straight away. Now, you can unsubscribe at any time. But, I really hope my advice and resources can give you so much inspiration that you want to stay in the gang and keep growing your business. All I ask for is a chance to to become your business friend before you decide to check out... I promise I won't disappoint! Join the Gang and get FREE stuff! Sign up with your email address to receive a FREE Social Media & E-Commerce Monthly Plan PLUS a FREE Event Planning template! Thank you! Check your emails - inbox, junk and the rest - for an email loaded with free goodness!